As co- writer and performer of the song ‘Fire’, and creator of ‘The God of Hellfire’ persona, I would like to express my horror and sadness in the use of ‘Fire’, in an act of terror in New Zealand. My heart goes out to all the victims and families of victims of this atrocity – and to all the communities affected. I should like to say that I support no group or individual that uses terrorist tactics and killing as a means of dealing with other beliefs than their own. I believe that all religions reach for the same root in the human being. I believe all people of all colours and all races deserve equal respect. I also believe that all people have a duty of care towards each other and all creatures on this earth. * OUT OF RESPECT for the victims of this horrifying act in New Zealand and following the advice of respected local authorities, I have decided to CANCEL the ‘instore’ performance at WATERLOO RECORDS in AUSTIN tomorrow. 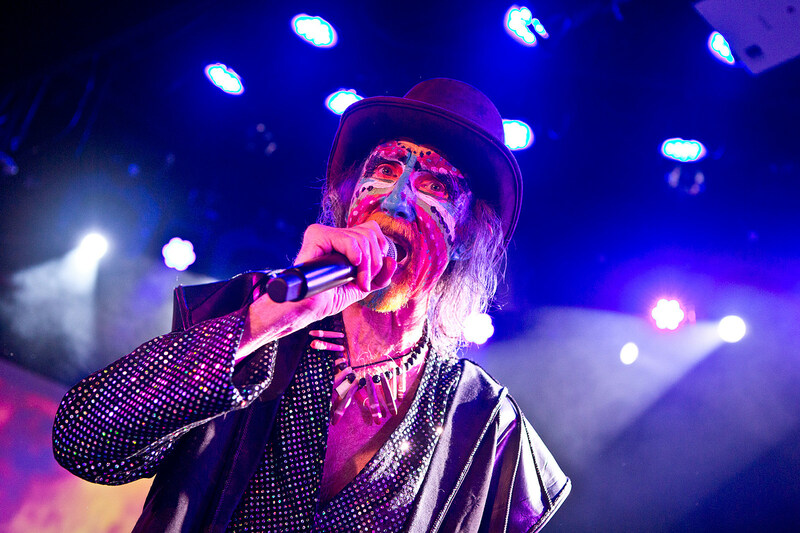 The Crazy World of Arthur Brown are in Austin for SXSW, where they played Thursday night.